Autumn Air Heating & Cooling LLC provides heating and air conditioning repair, service & installation in Youngtown, AZ and surrounding areas. Working on a service call for a unit that is not cooling properly. 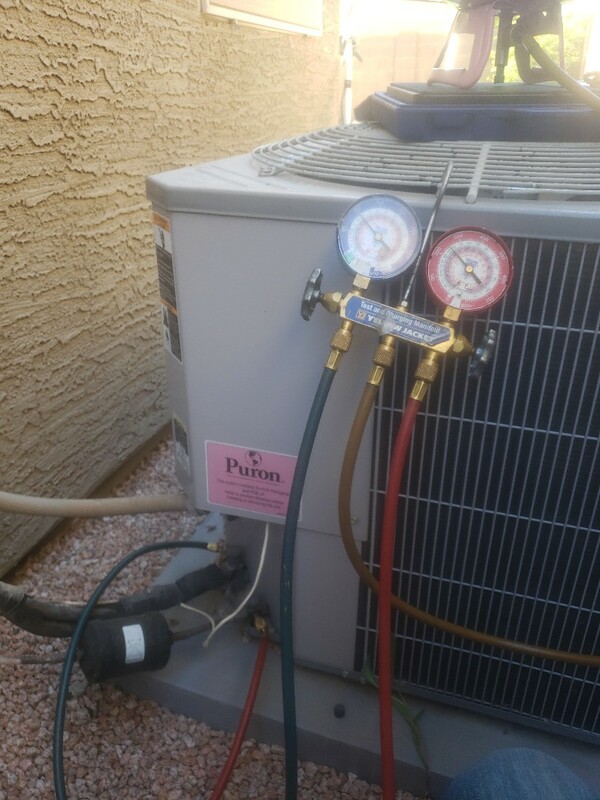 Added refrigerant on an Carrier split system in Youngtown, Arizona. Service call on a Carrier split system in Youngtown, Arizona.